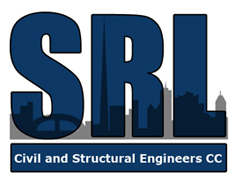 SRL Civil and Structural Engineers formed in 2007 and currently has two members, viz: Stan Horwell and Les Reeve and have a small but dedicated full time staff complement augmented with additional Contract staff as required. Both Stan Horwell and Les Reeve each have over 40 years experience in Civil and Structural Engineering. The majority of this experience has been gained in Mining and Industrial related projects, with extensive experience of dynamically loaded structures and large international projects. We have been associated with Awards for design of Export and Modular structures from the South African Institute of Steel Construction. The company’s mission is to provide the highest quality Civil and Structural Engineering design services to our Clients in a timeous, efficient and cost effective manner. Services range from pre-feasibility and feasibility studies through to final detailed design and site review.